TYPE: 2nd unit of Luxury Independent Villa consisting of 3BRD, Dinning, living and kitchen. The place is set of row villas, 6 unit of spacious row villas are available for short and long term renting. 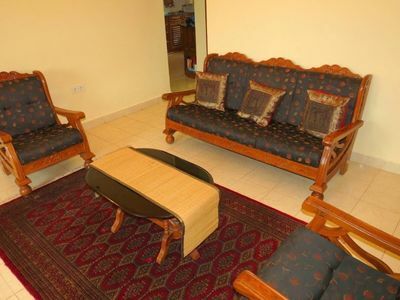 For individual rooms inside these villa are also available for short term rental as per the availability. Each Villa in Chennai has a separate gated-entrance, a car-parking facility to accommodate one car and a small garden and compound area. 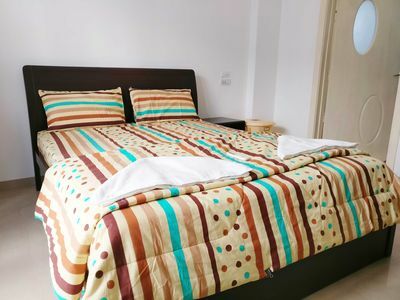 Every Villa in property is about 2,400 square feet, has 3 bedrooms with attached bath and is spread over two levels (and a terrace) with fully-furnished, separate Living, Dining, Entertainment, Balcony and Kitchen areas. The wooden and high-end ceramic flooring, the modern design and the rich finishes of each Villa. Villa is situated right in the heart of the IT corridor, just off the OMR near Perungudi, behind Apollo Hospitals (earlier Lifeline Hospital) and on the way to the SIPCOT IT Park. Villa is within minutes of Tidel Park and Ascendas IT Park and walking distance from RMZ Millenia Business Park, SP Info City and the American International School, Chennai. 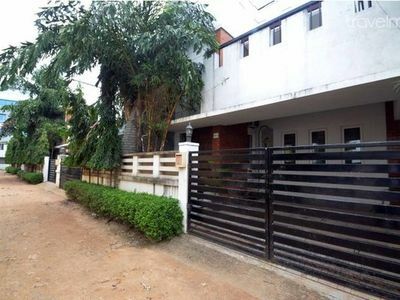 The areas of Velachery, Adyar, Valmiki Nagar, Thiruvanmiyur and the ECR are all close by and easily accessible areas.Villa's about 3.6 km from IIT Madras, 17.4 km from the airport, 16.2 km from the Railway Station and about 12 km from the US Consulate and the Gemini Flyover. House Rules: Please carry valid ID proof at the time of check-in.